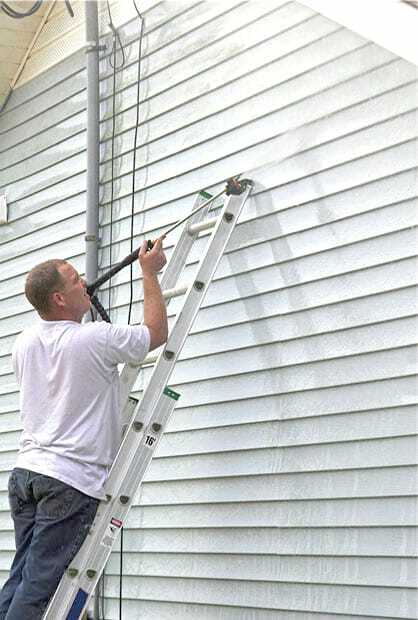 Power Washing Rockland County Bergen County NJ | Superior Gutters, Inc.
Our expert Power Washing services make siding and decks look like new! Is the siding of your home or business dirty? Does your deck need a good wash? We will safely remove dirt and grime to transform your home and make it look new again! Customers continually call on us because of the care we take with your home and our team’s commitment to quality work at an affordable price. Not all power washing companies are the same. We make sure to use the best available products and the proper psi rinse for a truly remarkable transformation. Safety is a top priority. We only use EPA-approved cleaning products that are environmentally safe and biodegradable. In business since 1993, our licensed and fully insured company has performed countless power washing jobs. We know what to do and how to do it right. We are the trusted name in power washing in the Bergen County NJ, Rockland County and Orange County NY area.